Extraordinary example of Mays' gorgeous '52 Topps example which displays an intense image of the legendary Giants player. The offered SGC 7 displays magnificent overall eye appeal with outstanding centering, undeniable NRMT corners and beautiful borders. Shows chipless edges with strong card stock throughout. Displays a particularly rich purple background with exceptional clarity. 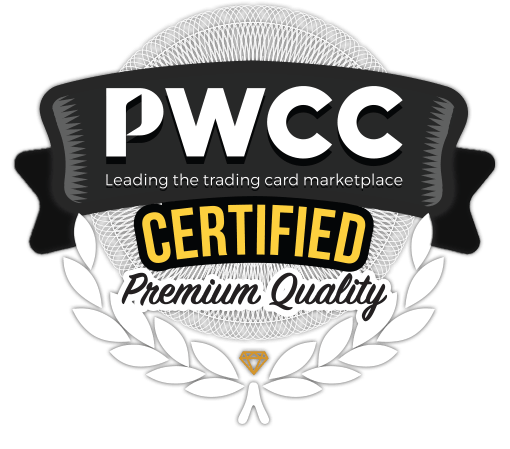 Exceptional all around eye appeal, rating a 3 on our scale, and among the most important non-rookie cards in the hobby and immensely popular among investors. One of over 18,000 cards, lots and sets up for bid in our 6th Auction of 2018. Click on the link above to view the other PWCC auction lots.